Starting today, Dev4Press Affiliates Program is now active once again and using MyCommerce ShareIt Affiliate System for purchase tracking and commission payments. Back in 2010, we started affiliates program using ShareIt Affiliate System. This program was active until 2014, and due to various issues, including lack of promotional material, low interest and our inexperience with the whole program, it was decided to close the program. This was the temporary measure, and it took almost 3 years to start with the affiliate program again. Last two years have seen a lot of change on Dev4Press, in terms of plugins development, website design, and organization, and the last item on agenda for expanding the Dev4Press is the affiliate program. Since Dev4Press uses ShareIt for all purchases handling, it is only natural to use ShareIt Affiliate System for an easy way to handle the affiliates. That means, that if you want to apply for our affiliates program, you need an account for MyCommerce ShareIt Affiliate System. After you have Shareit account and affiliate ID, simply complete the program setup on Dev4Press affiliates website, and you will get access to banners, affiliates link creation and banner codes builder. You can use banners hosted on our CDN, or download them and upload on your website. Before you apply for the Dev4Press Affiliate Program, make sure to read all the FAQ information, Terms and Conditions and ShareIt Terms and Conditions. If you have any questions, please don’t hesitate to contact us. 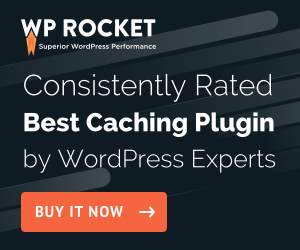 Help us promote our plugins and addons for WordPress, and earn up to 25% commission on each sale generated through your affiliate links. If you have a website dedicated to WordPress, web development, graphic or web design, blogs and CMS software, forums, you are welcome to apply and join our Affiliate Program.